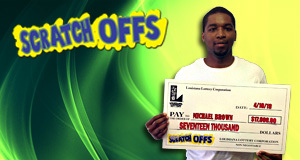 Congratulations to Winnfield resident Michael Brown Sr. on his $17,000 win! "I was excited that I won the top prize!" Michael recalled. 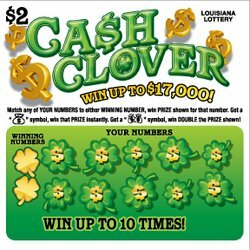 "($2 ticket Ca$h Clover) is my favorite game to play." The winner purchased his lucky ticket at his local store Murphy USA #5820 on Highway 167 North. "The staff there are very friendly," Michael explained. He plans to put his winning straight into savings.